Aetna invested significant resources into creating a comprehensive library of video stories on its website. However, expected traffic did not follow. The marketing team was challenged to find an alternative use for the videos. 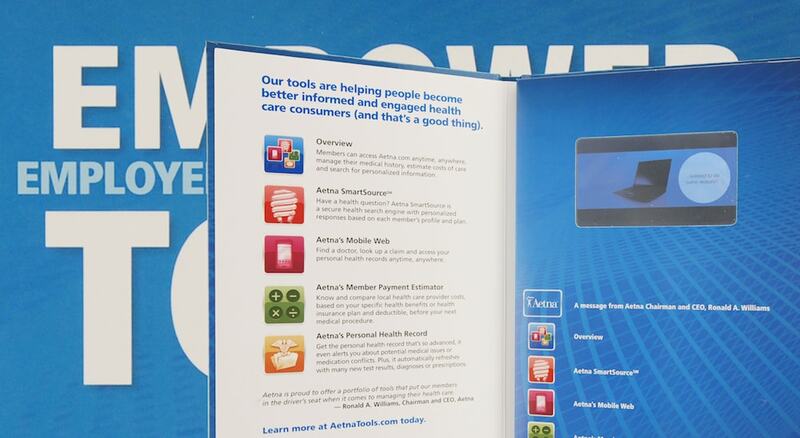 Aetna found its answer with Americhip’s latest Video in Print™ technology. 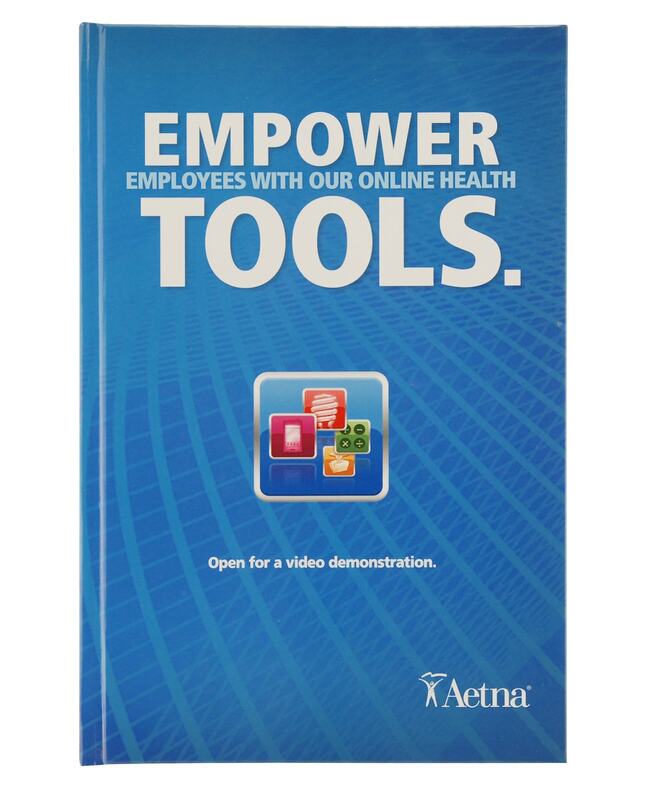 Aetna compiled several compelling video clips from the website to create a very captivating corporate mailer. The video clips featured an introduction from the CEO, and an overview of the features offered at aetna.com, including the use of its specialized search engine, its mobile service, and their payment estimator. 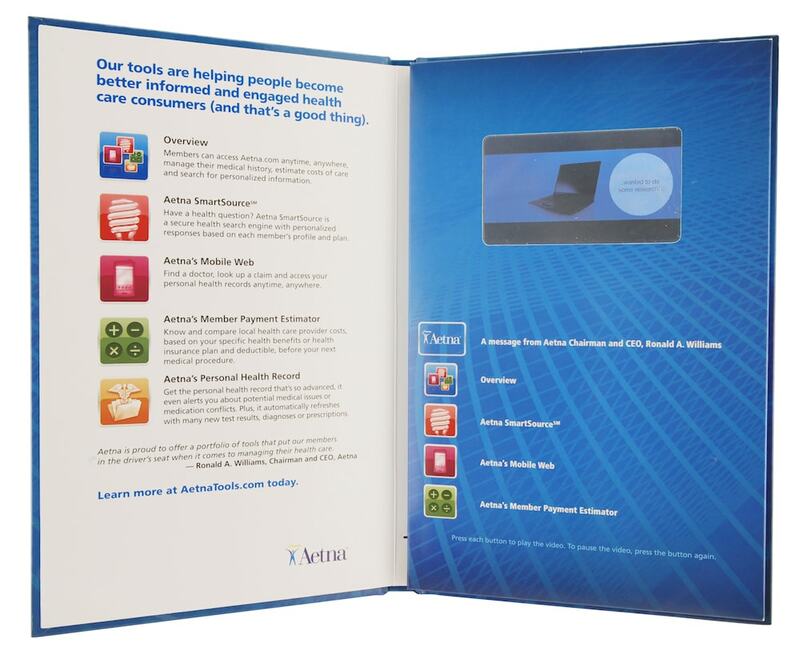 Aetna mailed the case bound book with a 4.1” VIP® screen to Senior Executives throughout the industry.